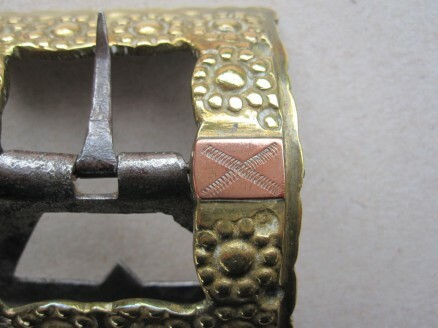 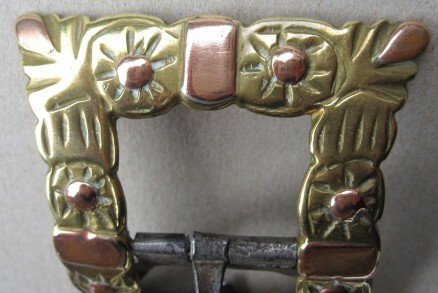 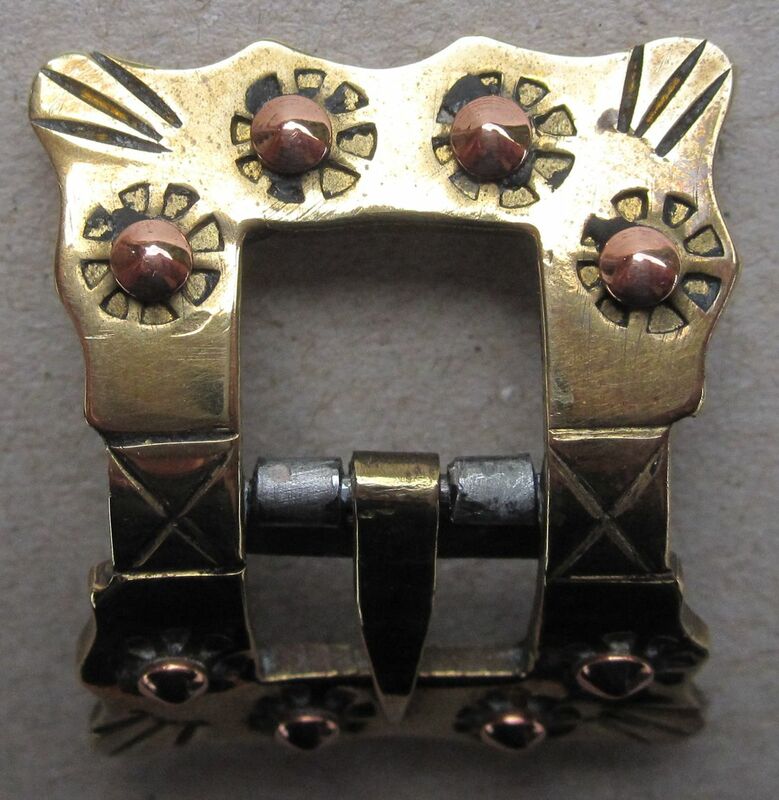 The Schwalm buckle shoes were closed with …buckles. 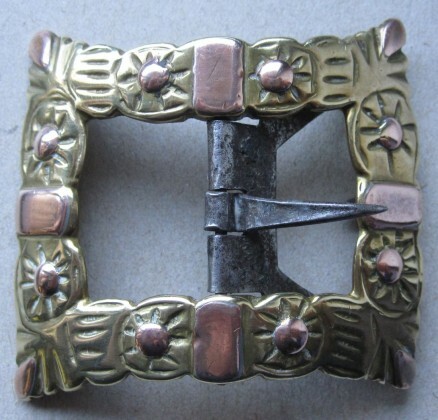 They could be bought from a buckle maker. 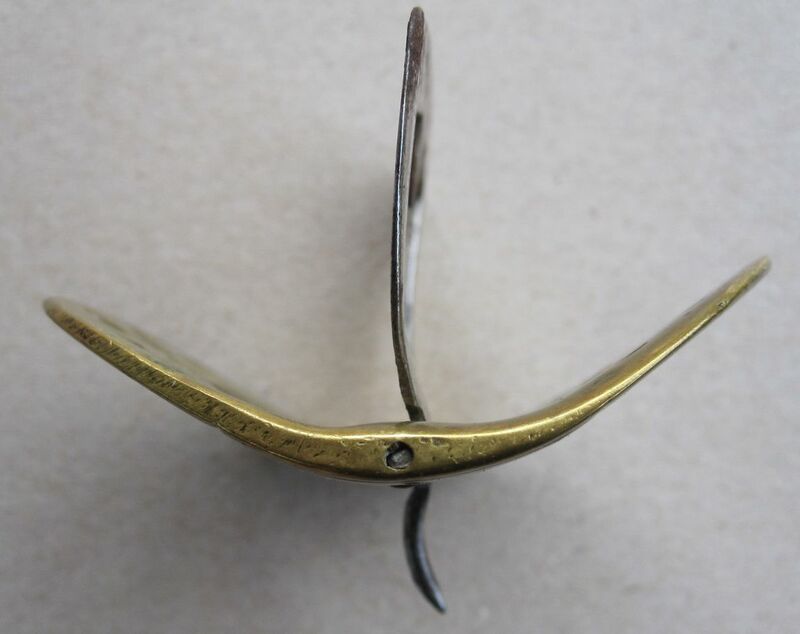 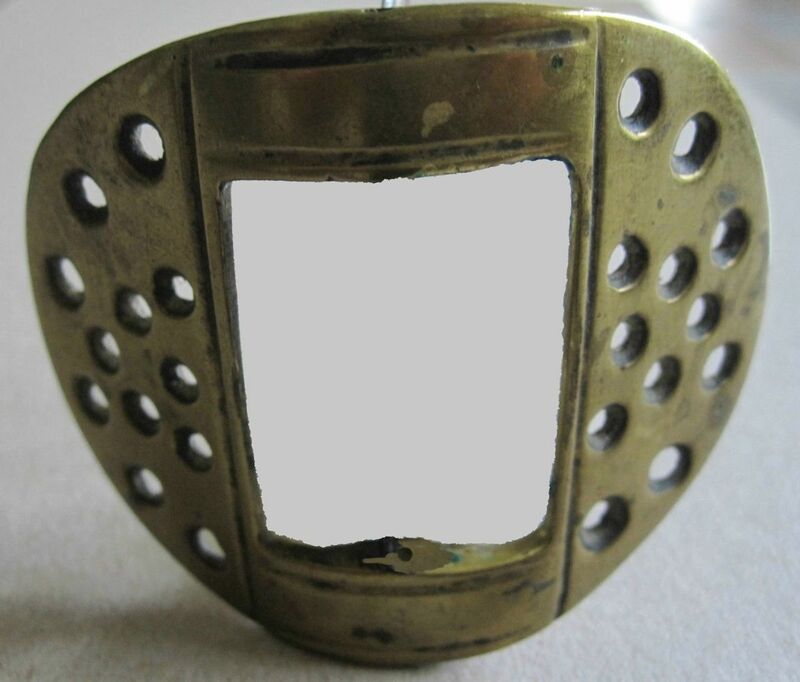 The buckle maker got the brass blanks from yellow metal foundries in Kassel or Berlin. and a “tongue” from black plate. 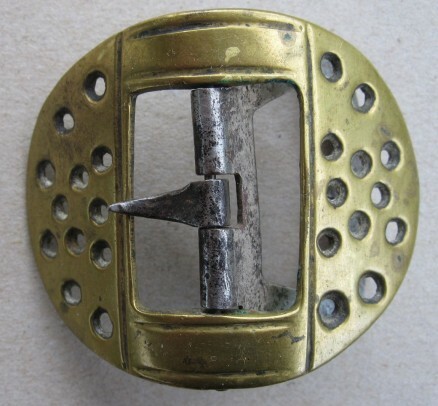 These components were movable, fastened around a pin. 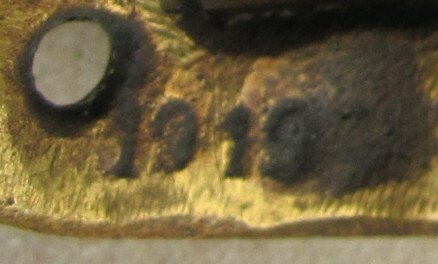 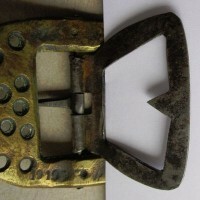 Sometimes the buckle maker added a year or a sign of his workshop. 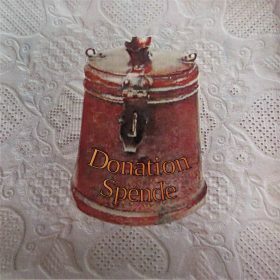 Second, the buckle maker had to embellish the festive buckles for holidays with additional decoration. He soldered pieces of copper sheet or copper rivets in bored holes. 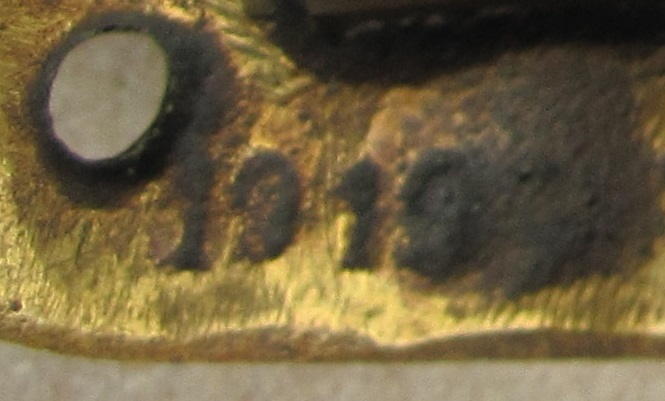 or the area surrounding the rivets were decorated with chiseled marks. 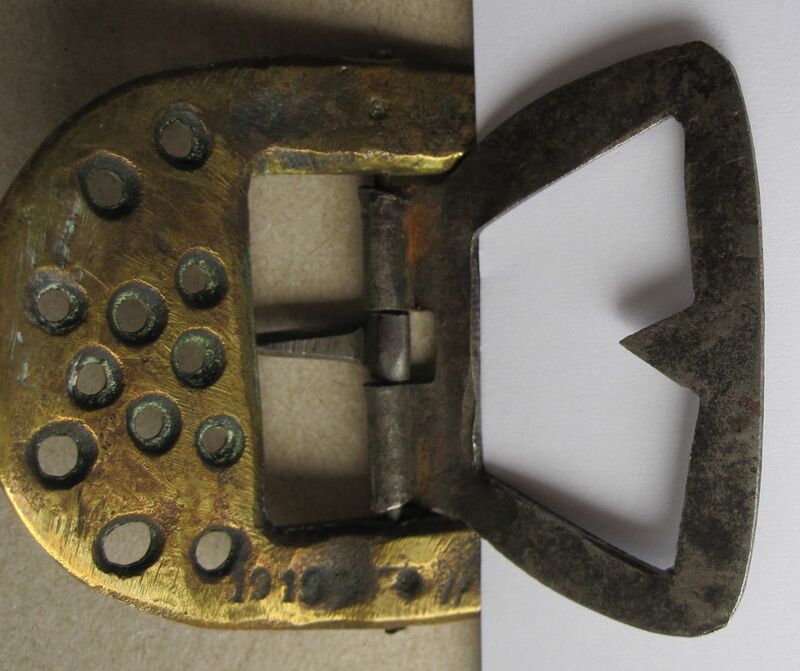 In the end the buckles were brought to a mirror finish using mineral spirits and chalk.